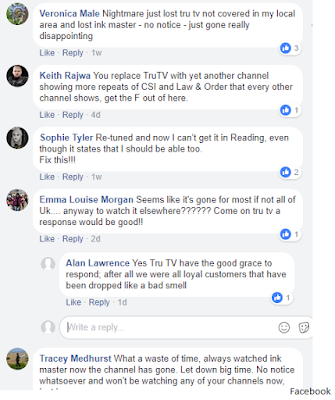 TruTV UK has been accused of letting viewers down following a decision to reduce its Freeview coverage earlier this month. Sony Pictures Television, who own TruTV UK, moved the channel from the national Freeview service in order to re-use the bandwidth for the new Sony Crime Channel, which launched on the 6th February. TruTV UK continues on Freeview in areas where a local channel is available, carried on bandwidth shared with the local TV network. But angry viewers have taken to TruTV UK's social media feeds to complain about the change, and that there was no warning, leaving fans of TruTV UK's shows, which include Ink Masters and Rupaul's Drag Race, without access to the channel. 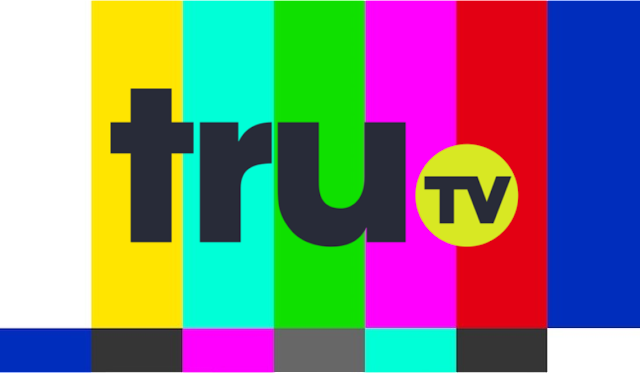 Only viewers who currently receive a local TV channel on Freeview channel 7 (or channel 8 in parts of Wales, Scotland, London, York and Cumbria), are able to still see TruTV on channel 68. Local channels broadcast in places including Aberdeen, Belfast, Birmingham, Cardiff, Grimsby, Leeds, London, Manchester, Nottingham, Norwich, Sheffield and York. The restriction also applies to viewers using BT TV, TalkTalk TV, Plusnet TV, EE TV and the Now TV Smart Box, as all of these devices take TruTV's Freeview signal. Some viewers have said they are not receiving TruTV, despite being told they are in a local TV coverage area. As local TV is broadcast at a lower power from transmitters, coverage - even close to locations where a service is active - is limited. Some viewers in areas where multiple transmitters provide coverage would have to realign or adjust their aerial in order to access the local TV network and TruTV. The broadcaster has declined to respond to viewer's complaints. A post from TruTV UK advises viewers to visit the Freeview website to check coverage. In areas where the channel is not longer available on Freeview, it can be seen on Sky, Freesat and Virgin Media. It is no longer streamed online via TVPlayer after TruTV UK was sold by US media company Turner to Sony Pictures Television last year. Why the need to drop channels? Freeview has lower overall capacity than other digital TV platforms. It means broadcasters aren't always able to offer all of their services all of the time. All commercial channel operators - whether they want to offer a +1 service, a children's channel or a general entertainment channel - have equal, non-discriminatory access to apply for any Freeview slot that should become available. The BBC, ITV, Channel 4 and Channel 5 have gifted capacity, but even among these broadcasters, there's not enough capacity to offer their full set of channels to everyone. With capacity in short supply, this has led to channels being dropped to make way for new ones, with broadcasters having to make a judgement as to which of their channels is likely to bring in more viewers and ad revenue.